Just like any other house, Liu Mansion had started to age and crumble over time. 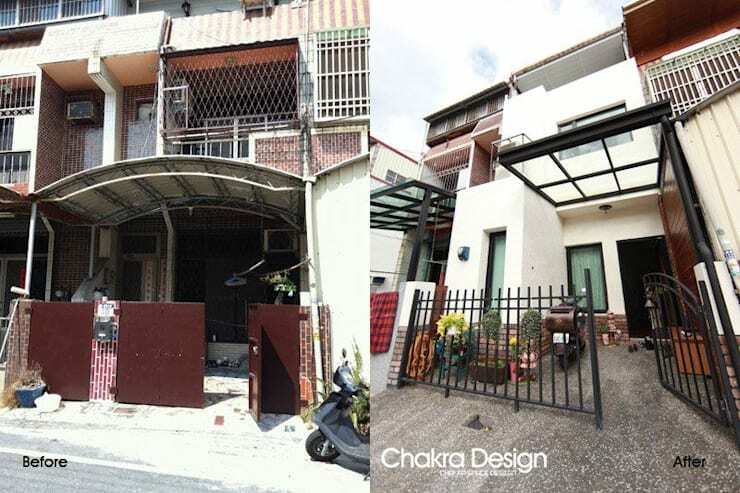 The exterior was dilapidated and dirty when the interior designers and decorators at Seven Space Design first chanced upon it. And the interiors were no better; the rooms were gloomy, outdated and shabby. But our professionals accepted the challenge of renovating this home, and the final result is stunning! The facade now looks retro chic, while the interiors are stylish, modern and cosy. Tasteful use of wood, stylish furniture and soothing lights have made a world of difference to this once-dull residence. Before & after: dingy exterior goes wow! Dark, old-fashioned tiles, unsightly doors and windows and a drab porch did nothing to make the original facade inviting. But now, with modern doors and windows and the lavish use of white, the house looks dramatically different and refreshing. A simple iron fence now lends elegance to the building, while the porch is shaded by a glass panel set in a black metal frame. This way, visitors stay protected from rain, but sunlight floods the porch generously. Creamy white walls, warm wooden flooring and cosy sofas in earthy shades make the living room cheerful and inviting. The retro-chic chandelier casts a soothing golden glow, while books and paintings make for a stimulating ambiance. 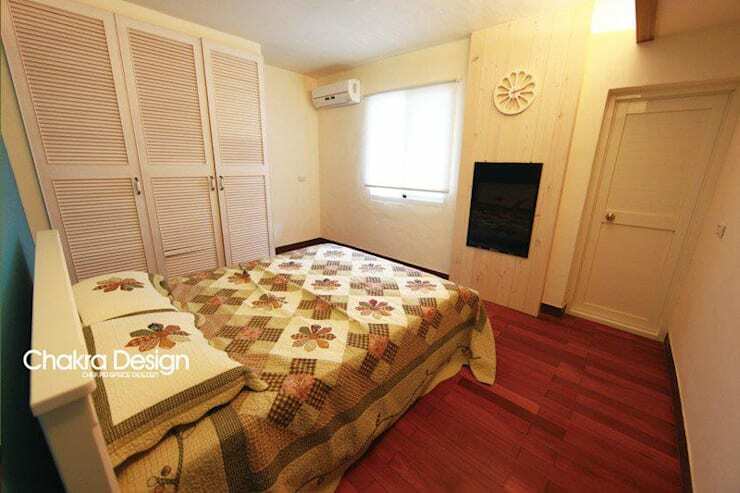 Pre-makeover, the living space enjoyed ample light, but lacked comfortable accents and personality. 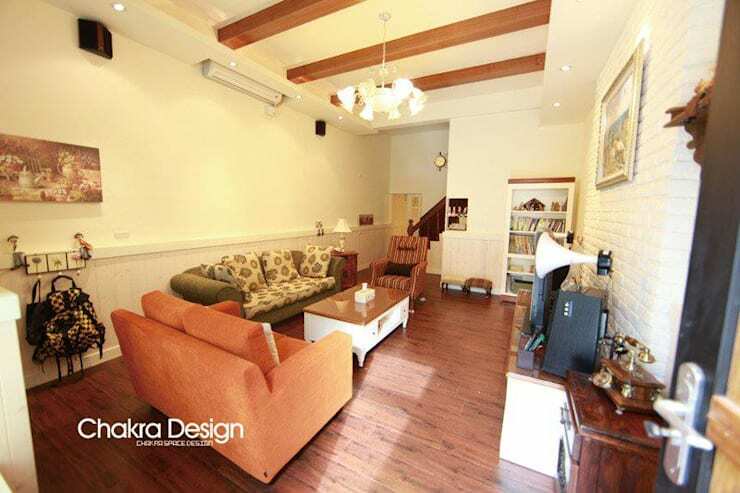 But now, thanks to the revamped ceiling, wooden elements and graceful furniture, it looks incredibly charming. Dingy white tiles made the staircase look boring and lifeless. 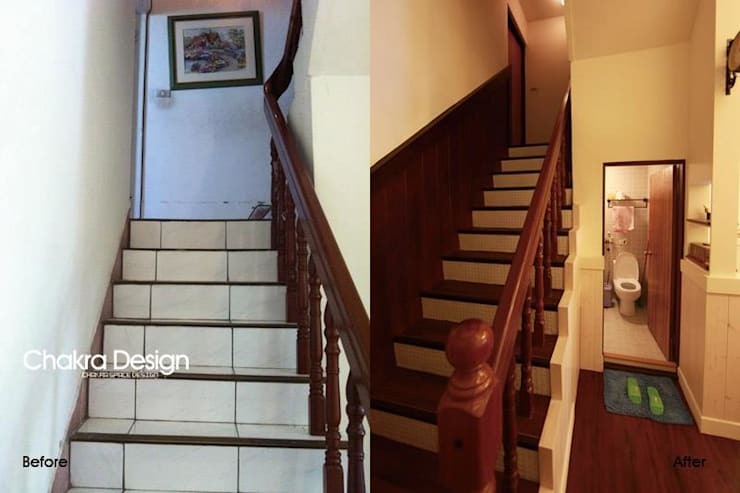 Post-makeover, the introduction of contrasting wooden steps and brown wall cladding lends lots of warmth and charm to the staircase. 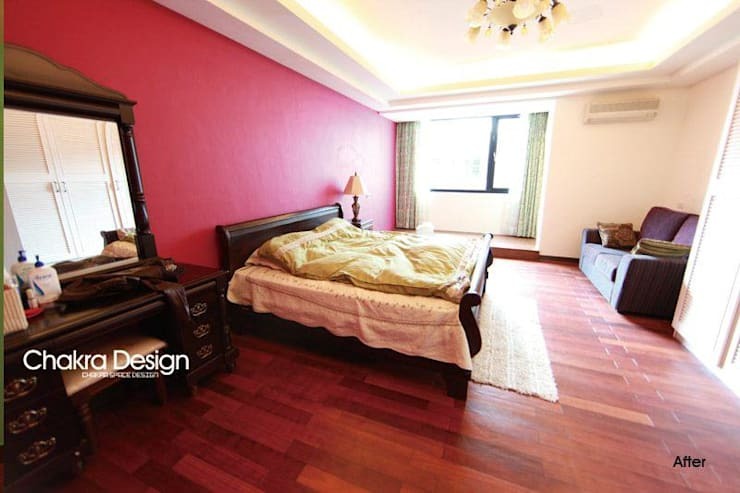 A bold red feature wall and elegant wooden flooring make the spacious master bedroom comfortable, as well as stylish. The large vintage-style bed and dresser keep the charm of bygone days alive. We also love how large glass windows flood this room with natural light and fresh air, enhancing the nostalgic atmosphere. Gorgeously printed bedding, a rich wooden floor and creamy white walls ensure a rustic and cosy ambiance in this bedroom. The stylish wardrobe is rendered in light-hued wood, so that the room looks bright and spacious. 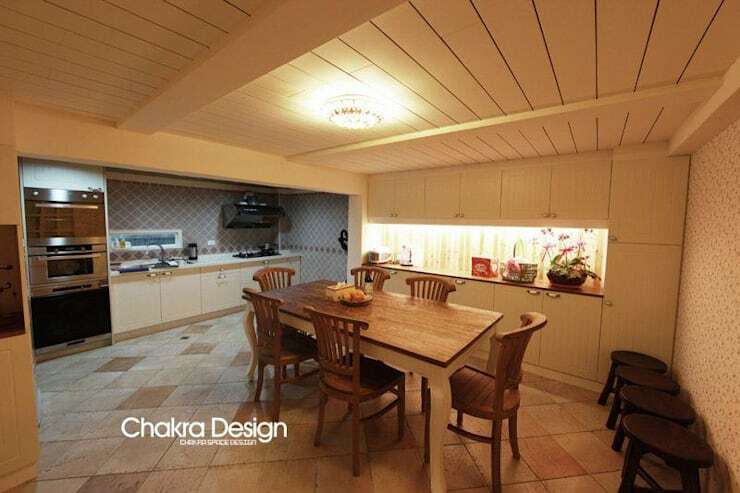 A whitewashed wooden ceiling and stylish diagonal floor tiles make this kitchen and dining space cosy and welcoming. By integrating these two zones, it is now easy to cook and serve hot dishes immediately. Guests can freely interact with the chef, while sipping a drink at the wooden table. 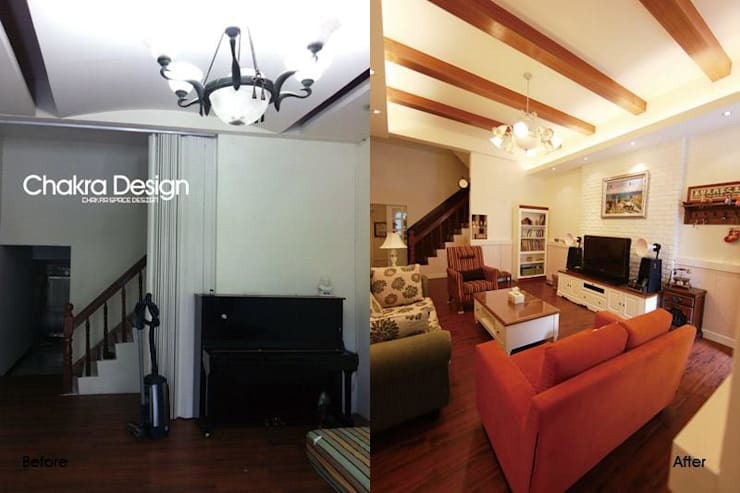 Has this home transformation given you some ideas?